Now that folks have heard/read about my recent change in employment, the question I want to answer is, “why did I decide to bet my career on Platform9?” While making my decision, I primarily evaluated three areas that can be summarized by the acronym TOP. Technology – Does the technology address customer needs and does it have differentiation from other similar technologies? Opportunity – Is there an addressable market for a solution and is the timing right for the solution? People – Does the company have a compelling vision, a collaborative culture, and does the leadership have strong pedigree? Let me take you though my evaluation process and explain why I made the decision to join Platform9. For the purpose of this post, I will change the order and talk first about the People behind the company, then the Opportunity that Platfom9 has to help customers, and finally the Technology that differentiates ourselves in the marketplace. In my announcement post, I introduced readers to the founders of Platform9 and talked about how instrumental meeting them was to my decision to join the company. Sirish, Madhura, Roopak, and Bich are all accomplished engineers who were instrumental in building VMware’s virtualization and management portfolio. Besides their obvious deep knowledge in VMware virtualization, the founders also displayed a clear understanding of the Cloud Computing space in general and the OpenStack market in particular. I was more than a little impressed with their vision for how to make private clouds simpler for customers and their commitment to do so through building of a collaborative team. Knowing that I would be working with such a wealth of talent who also happen to really great people made the choice to join the team an easy one. One of the themes at the recent OpenStack Summit in Vancouver was the “coming out” of end users who are deploying OpenStack. They included familiar names like American Express, Comcast, PayPal, TD Bank, and Walmart. However, a common thread that ran across these user stories was the need for engineering talent, either in-house or through a partner/vendor. This highlights the fact that while building a private cloud using OpenStack has value, it is HARD work. The reality is that OpenStack is a cloud framework that can still be difficult to deploy and even more difficult to manage. In a previous blog post, I outlined different options for consuming OpenStack, including the concept of consuming OpenStack as a service. In this model, a vendor or service provider takes primary responsibility for deploying and operating a customer’s OpenStack cloud. The value proposition of this approach is that it allows users to focus on application development and business processes instead of managing and supporting the underlying Cloud platform and infrastructure. It is also an approach that is gaining traction and the reason why established vendors such as Cisco and IBM have been busy making acquisitions to enable or strengthen their OpenStack-as-a-Service offerings. This is a space where Platform9 provides great value for customers through our cloud management as a service solution that dramatically simplifies private cloud deployments and operations for customers while allowing them to retain control of their data and of their existing investments. We believe this approach makes sense for most companies because an easy to deploy distribution is great for day 1 but often leaves customers to bear the burden for day 2 operations. I am going to very briefly touch on two technology differentiators that made Platform9 unique and a clear choice for me to make my bet on. You will be seeing more detailed drill-downs on these differentiators in future blog posts. 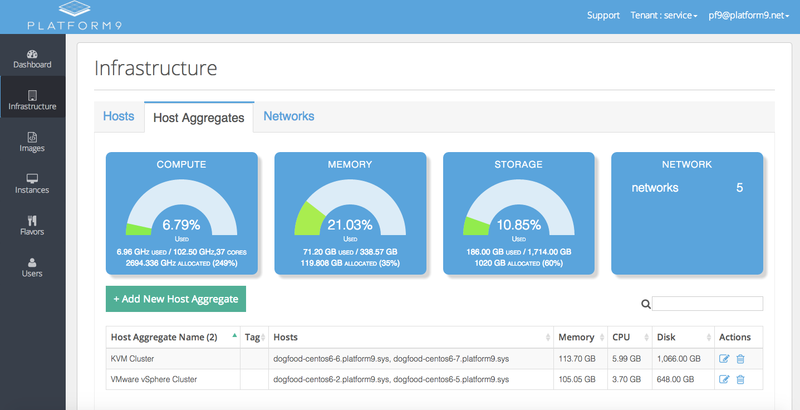 Platform9 takes the unique approach of hosting our customers’ private cloud control plane off-premises to manage customer on-premises resources, allowing customer workload and data to stay within their own datacenters. This separation of concerns allow developer-users to focus on creating applications and operator-users to focus on running their datacenters. 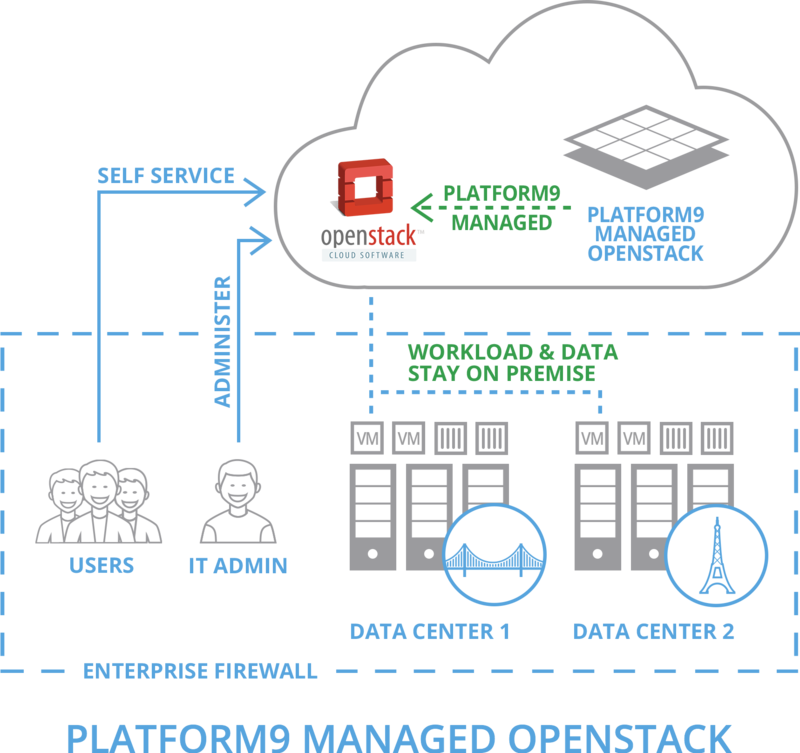 Platform9 takes responsibility for managing OpenStack, including still difficult tasks day 2 operations like monitoring, scaling, upgrades, and maintenance. As a result, you get outcomes such as OpenStack deployments that can take only minutes and upgrades that are pain-free for customers. One of the things that have held back the deployment of OpenStack is that it essentially requires a greenfield approach where only new resources can be deployed or existing infrastructure would have to be painstakingly migrated over to the new cloud. In practice, this meant customers had to deploy and mange two separate environments. 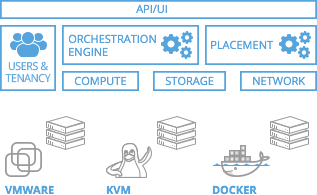 Platform9 offers the unique capability to discover and to import existing virtualized infrastructure, running technologies such as KVM and vSphere, into a Platform9 managed cloud. These existing resources can then be managed alongside newly provisioned resources using a common control plane. With this approach, nothing is wasted and the creation of unnecessary silos can be prevented. It also provides the added benefit of allowing, as alluded to earlier, VMware and Linux/KVM administrators on the user side to focus on managing the technologies they know best while Platform9 focuses on operating the OpenStack control plane. At the same time, Platform9 provides the management dashboard that gives customers visibility into their private cloud. Hopefully, this post give you some insight into why I decided to join the Platform9 team and why I believe we have both the people and the technology to capitalize on the opportunity to be a leader in helping customers with extracting value out of their private cloud deployments. Stay tuned for more.